Azerbaijani food is similar to the cuisine of Georgia (FSU Georgia, that is) but they lay claim to certain dishes such as kutaby as their own. 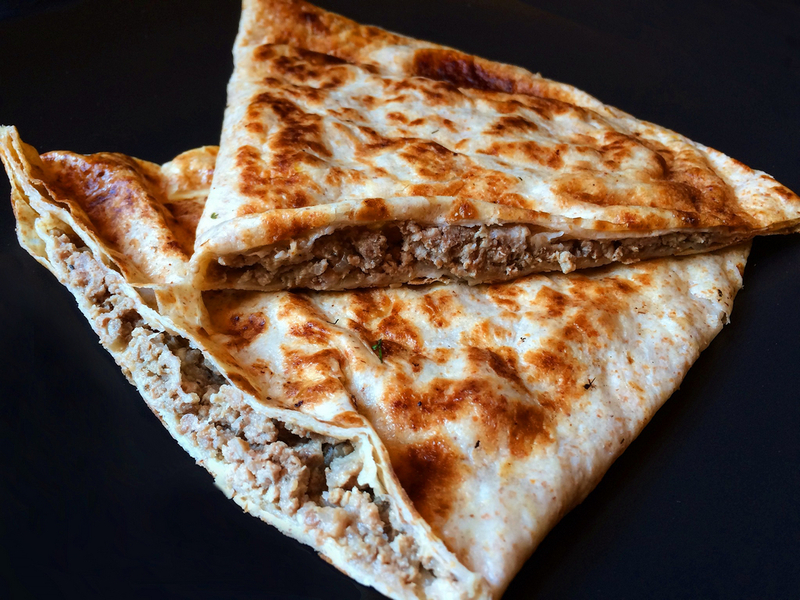 A thin, tortilla-like crepe filled with ground lamb and luscious seasonings, folded in half and griddled, it’s an object of universal culinary lust for anyone whose lips have ever caressed it. And, by the way, it may make an appearance at my upcoming Little Odessa ethnojunket (what a segue 😉), Saturday, October 20, where we’ll sample the delights of Russian and Former Soviet Union cuisine along Brighton Beach Avenue in Brooklyn. For more information and to sign up, click here. Hope to see you then! This entry was posted in Ethnojunkets, Good Eats, Instagram and tagged Russian by Rich. Bookmark the permalink. Wow, that looks and sounds delicious !